Home robots are still an amazing concept, especially for people who grew up watching episodes of “The Jetsons” on television. Roombas were first introduced in 2002, and over 15 million units have been sold worldwide as of this writing. 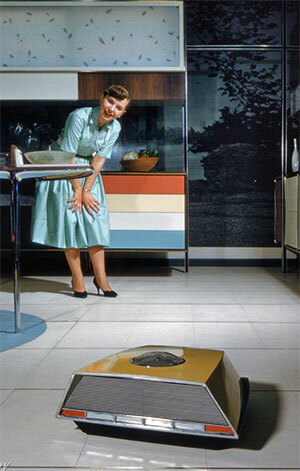 While many people are delighted by their autonomous robot vacuum, most people don’t know that a robot vacuum was first envisioned in the 1950s. Donald G. Moore patented a robot floor cleaner in 1957. It was controlled by a central console that only required the press of a button to activate the cleaner. The robot would appear and had the functionality to both vacuum and mop your kitchen floor. Unfortunately, a working version of the robot was never built or released to the public.